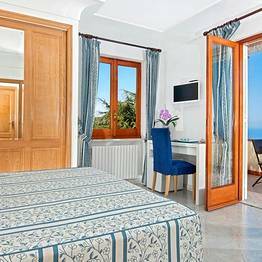 Cala del Rio Capri: 3 reasons to book here | Capri Booking. 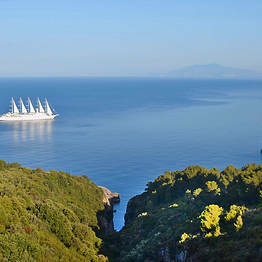 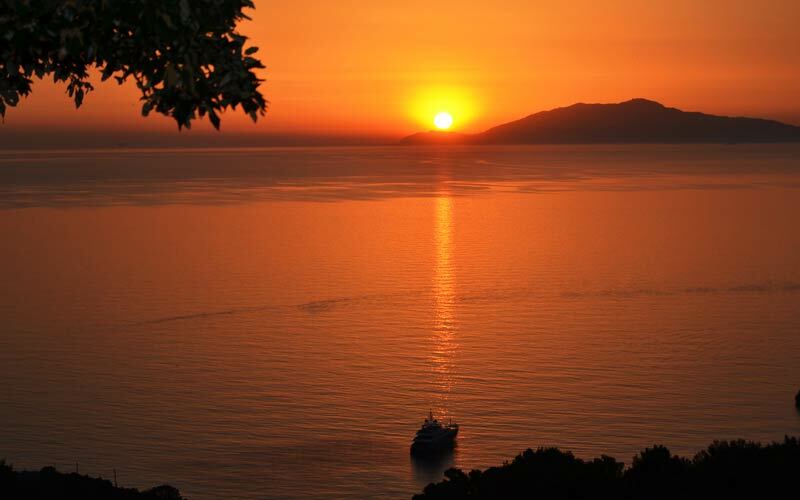 Leave your worries behind you; sail across the sea to Capri and Anacapri's Bed and Breakfast Cala del Rio! 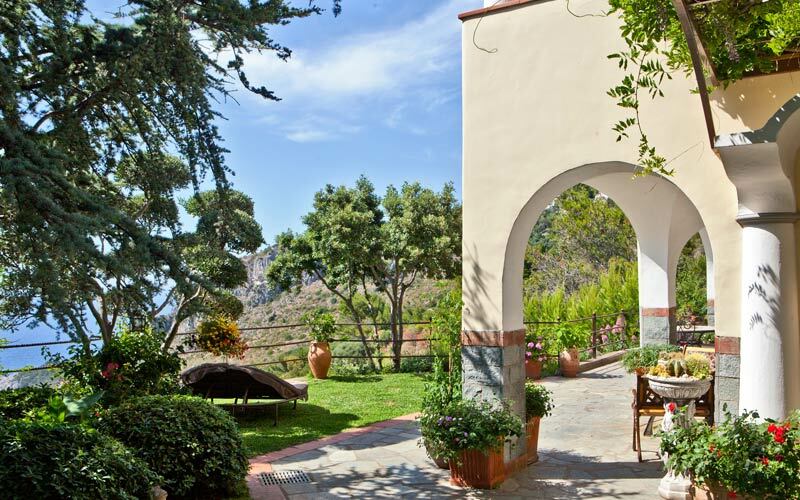 From the moment you arrive at Cala del Rio, you'll be made to feel just like you're in your very own Italian island home! 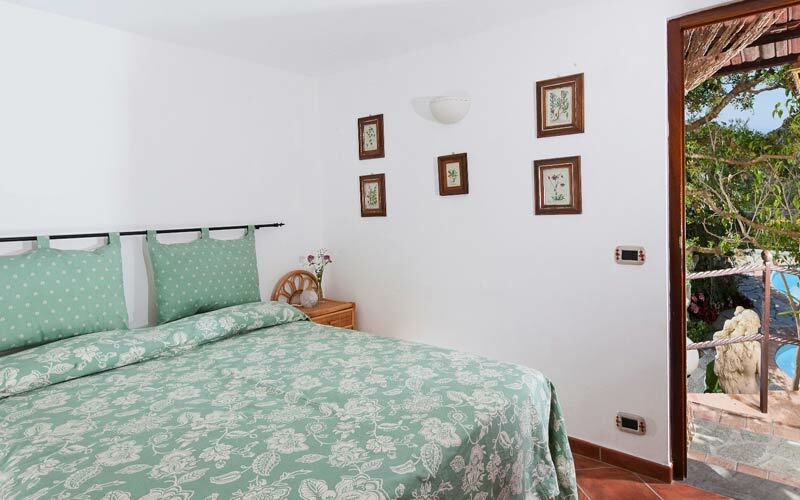 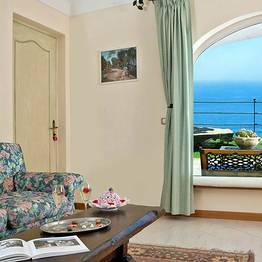 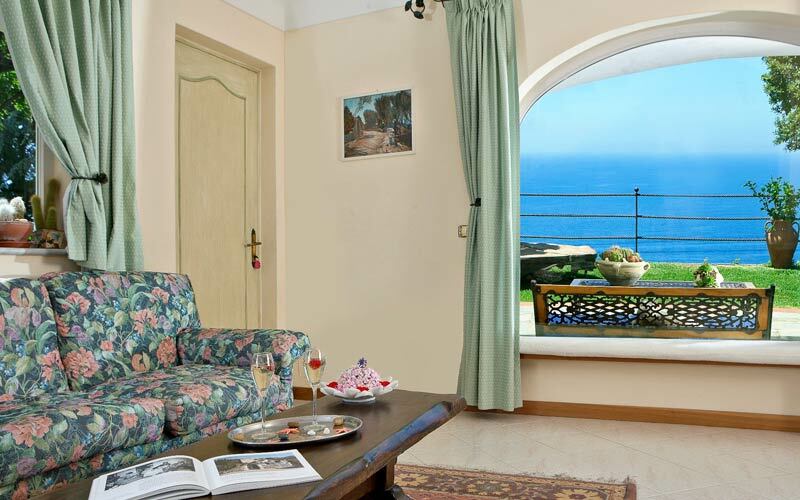 The B&B has only 3 bedrooms: two double rooms with sea view balcony and one single room with terrace. 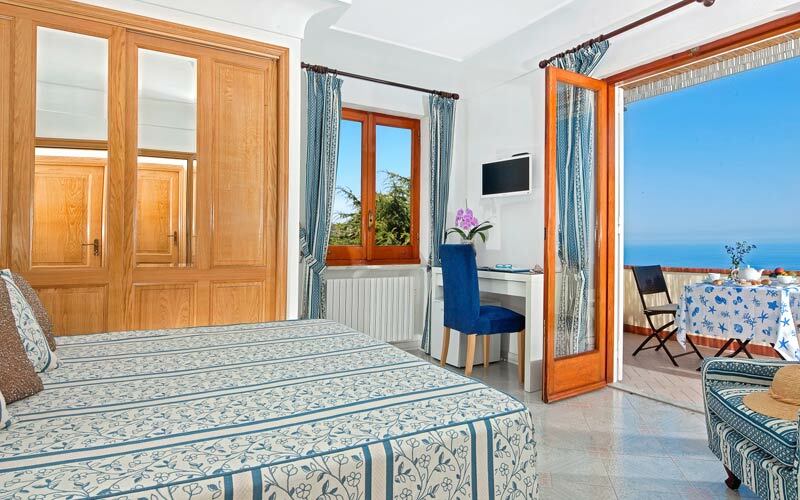 Cala del Rio provides a full range of contemporary creature comforts, from air conditioning to flat screen television and wifi (only in the bedrooms). 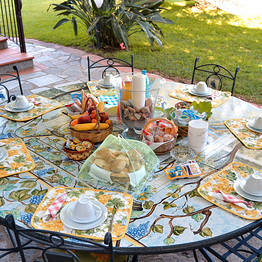 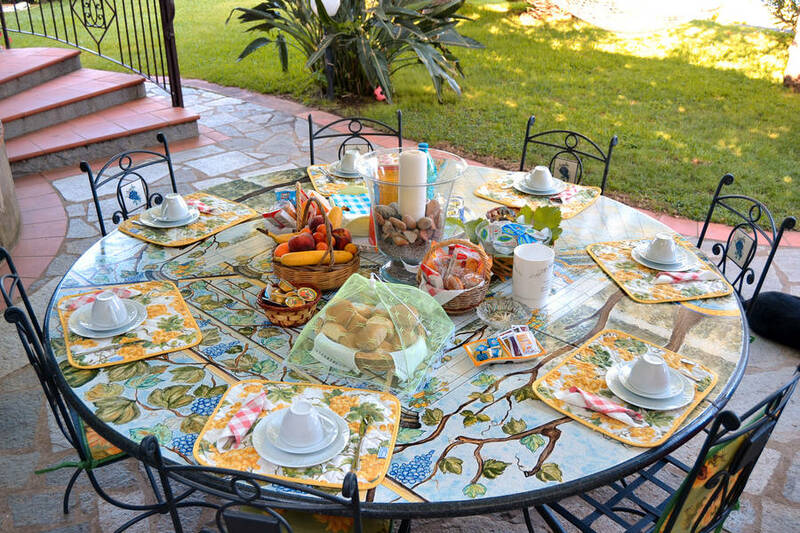 Breakfast is served in the dining room, or you can take a tray to dine on your balcony or terrace. 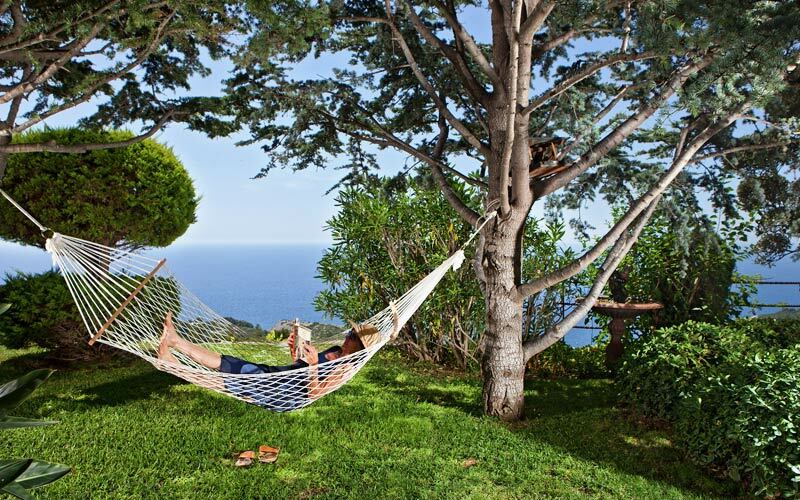 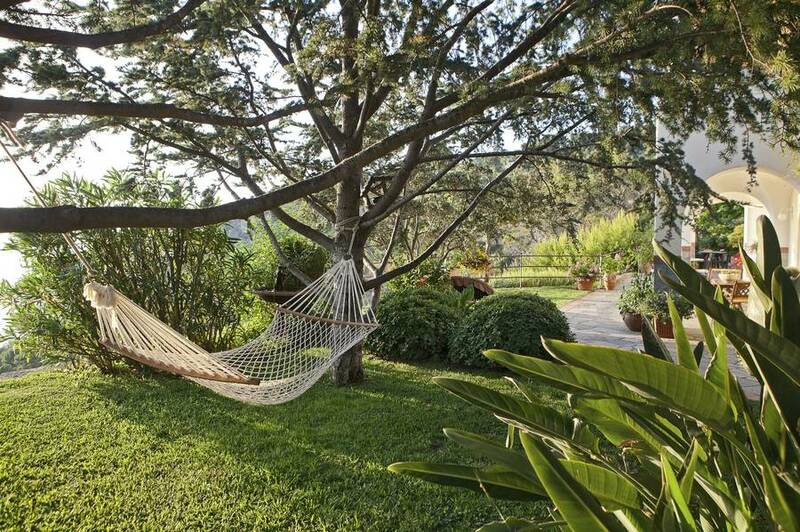 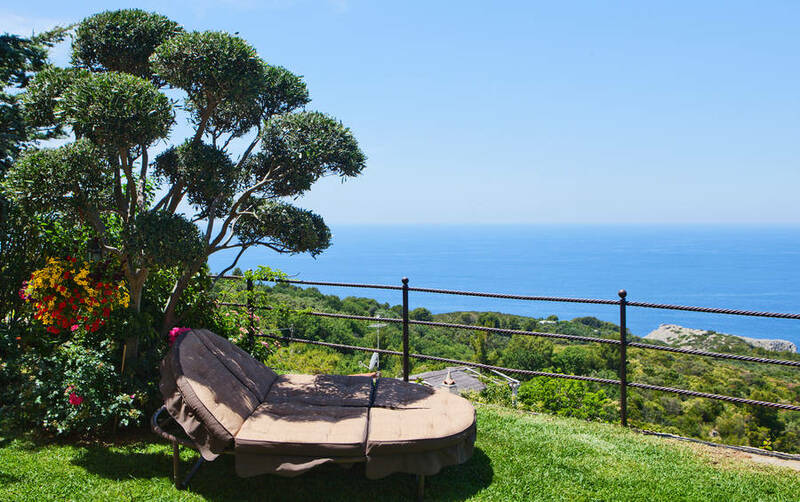 The garden is the perfect place in which to laze on a hammock, a good book or a glass of wine in hand, the B&B's garden boasts marvelous views of the sea'''. 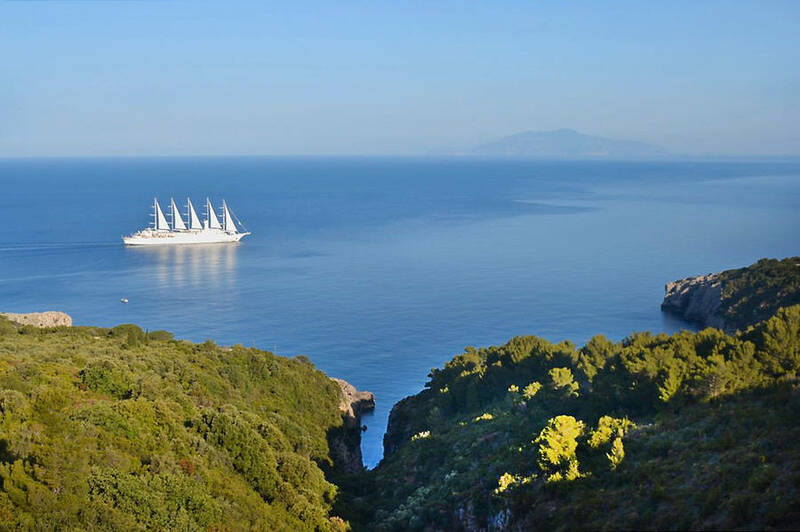 If you fancy taking a dip in the sea, two of the island's best beach clubs are just a short walk away. 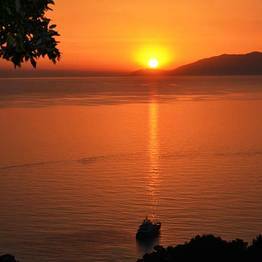 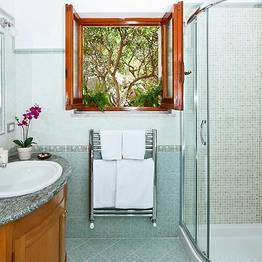 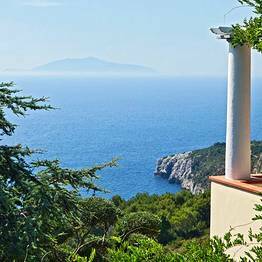 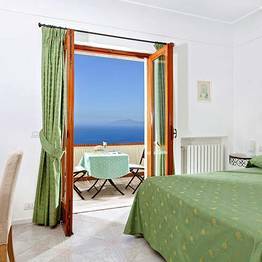 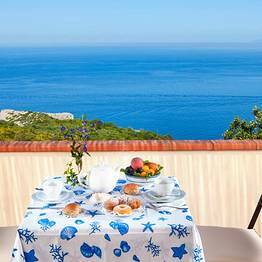 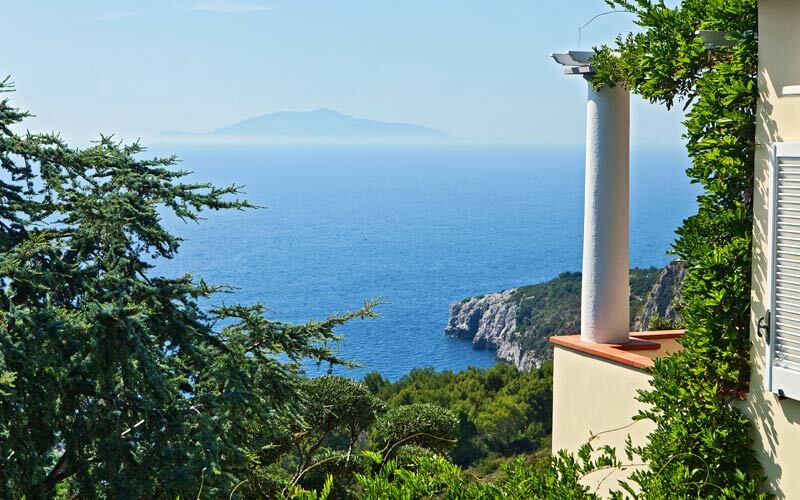 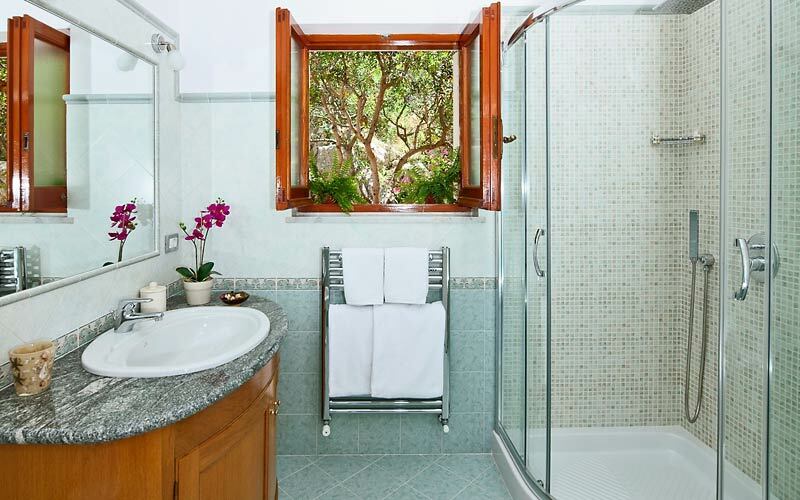 In sunny Anacapri, B&B Cala del Rio lies within easy reach of the stop from where to catch buses to the Piazzetta of Capri and Marina Grande, the island's fishing district and port. 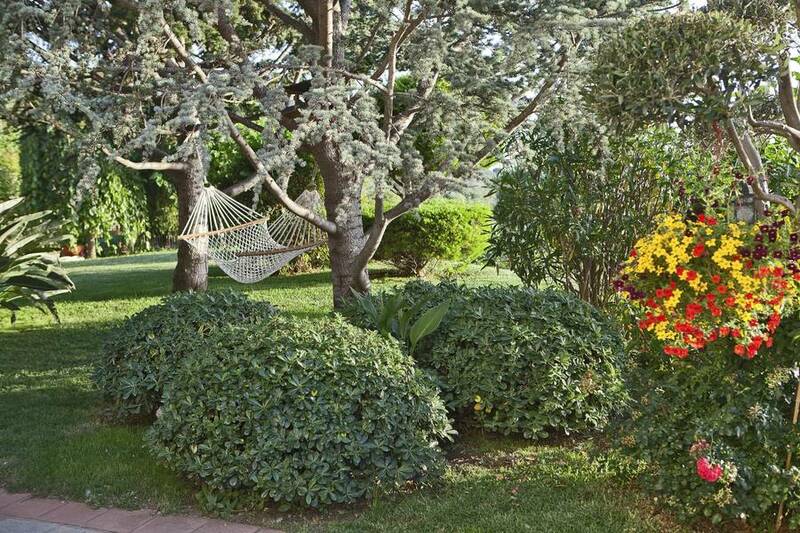 The owners will be only too happy to drive you to the bus stop. 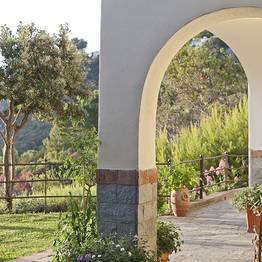 The shuttle service is available until 10.30 in the evening (and even later, by appointment). 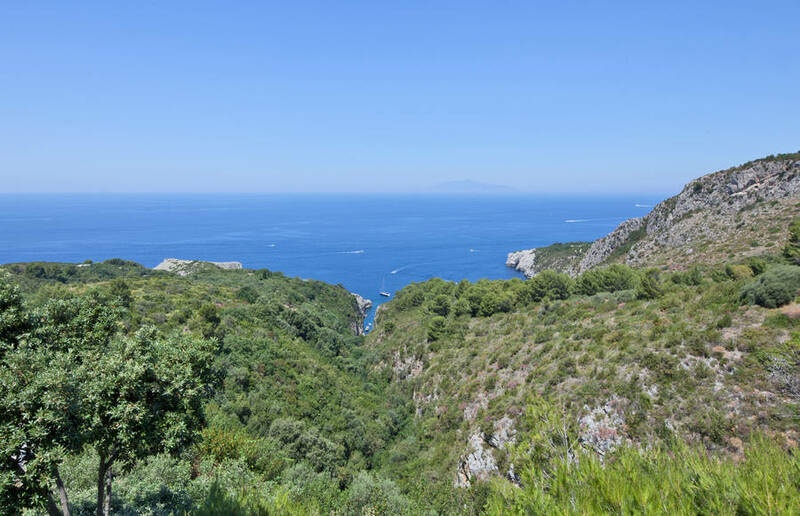 If you like walking, you'll love the Sentiero dei Fortini: the spectacularly panoramic footpath which traces the coast of Anacapri from the Grotta Azzurra, past a series of 19th century blockhouses, all the way to the lighthouse at Punta Carena. 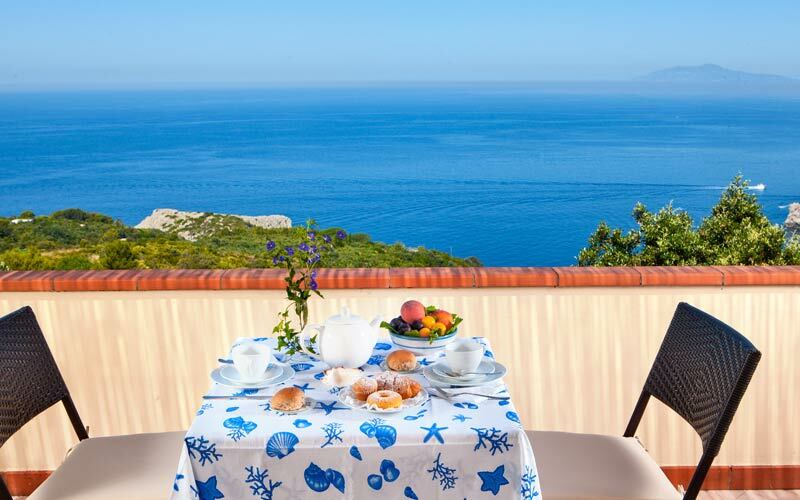 At Cala del Rio you can expect to experience an authentic slice of life on the island of Capri, staying in a typical Mediterranean island home, surrounded by the colors of the sea and the countryside. 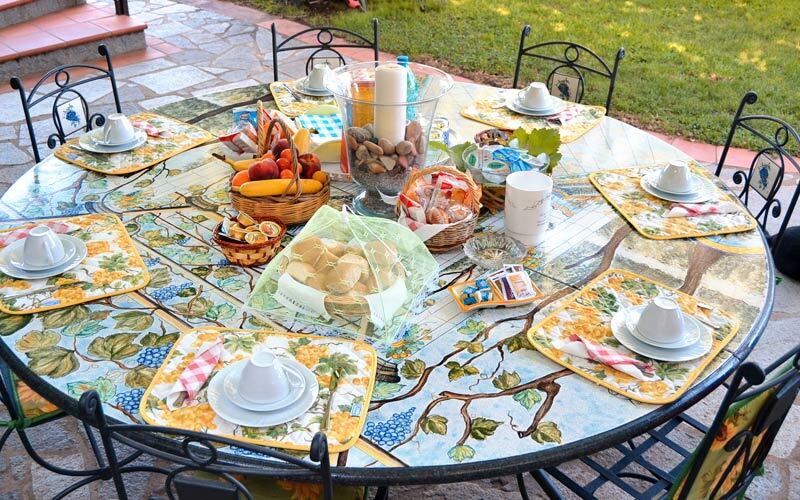 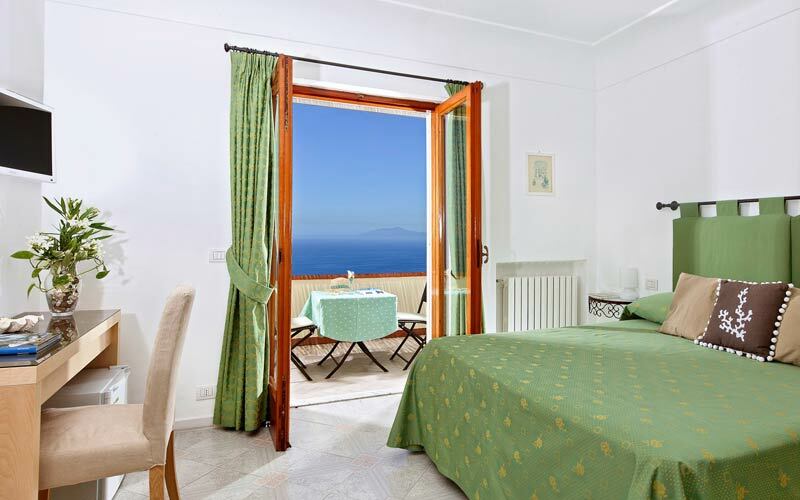 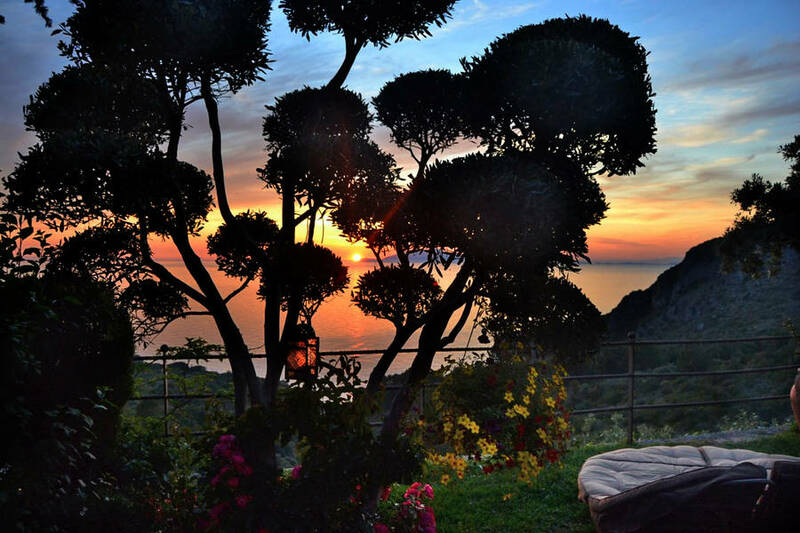 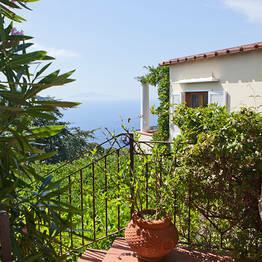 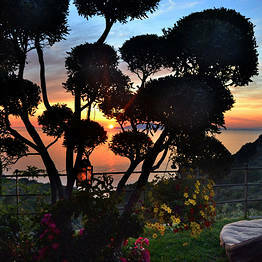 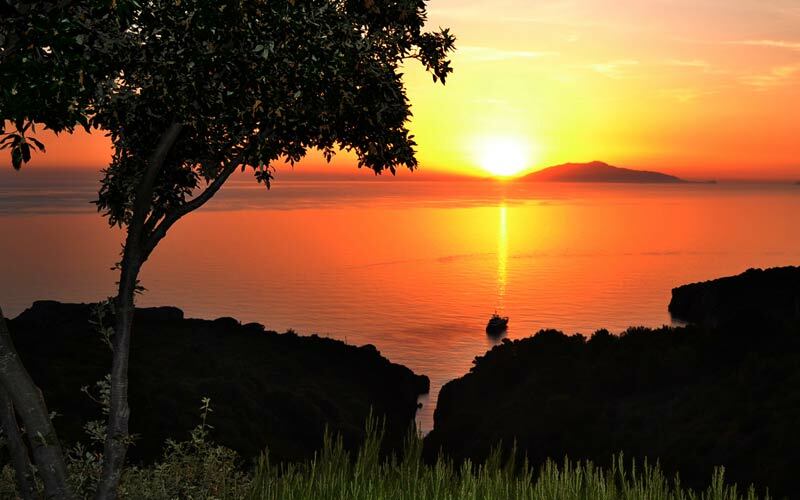 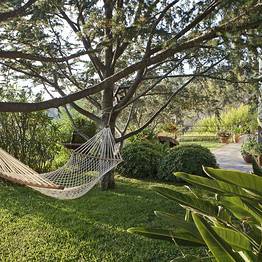 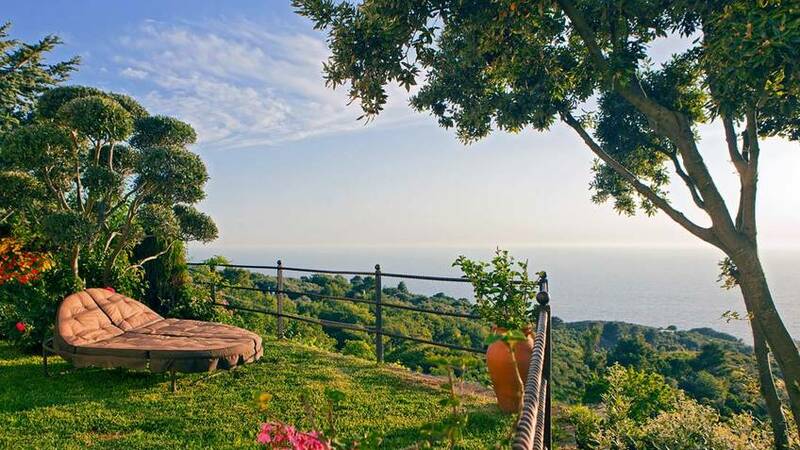 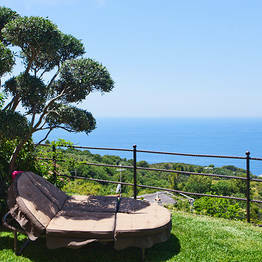 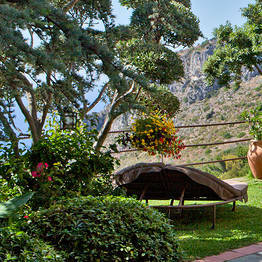 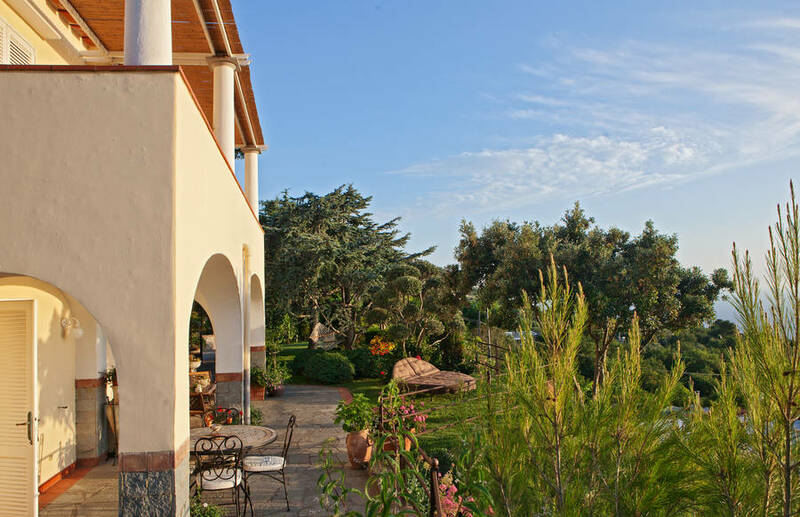 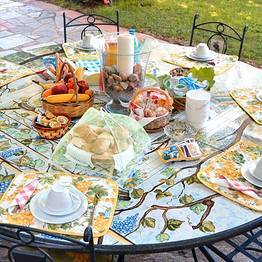 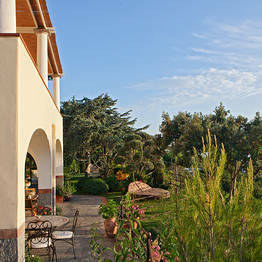 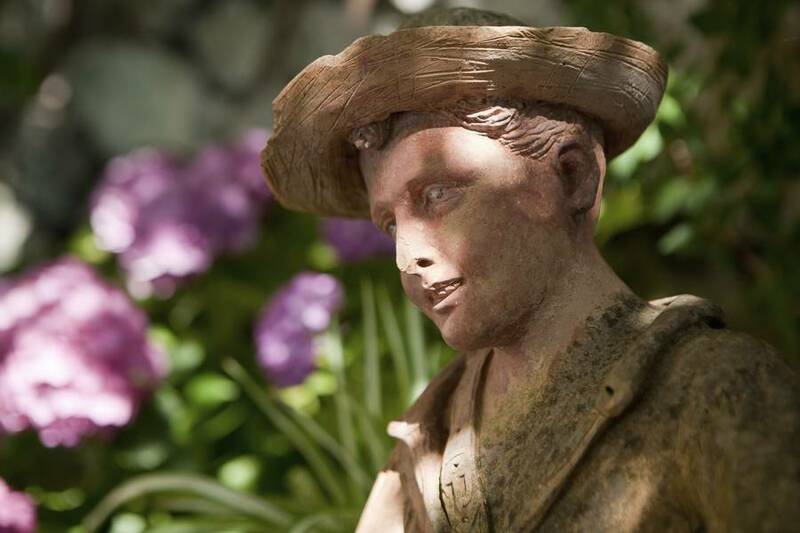 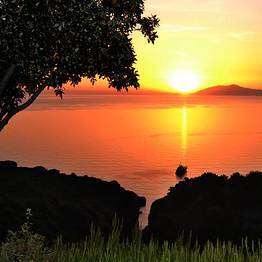 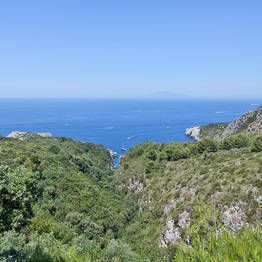 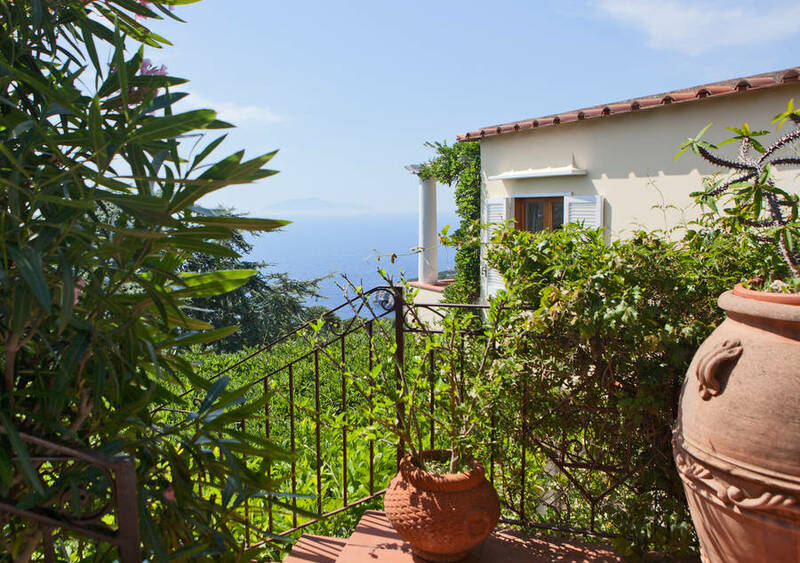 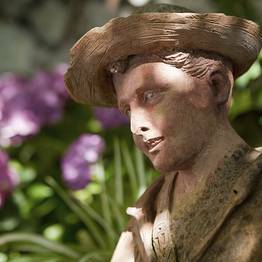 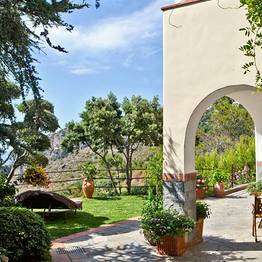 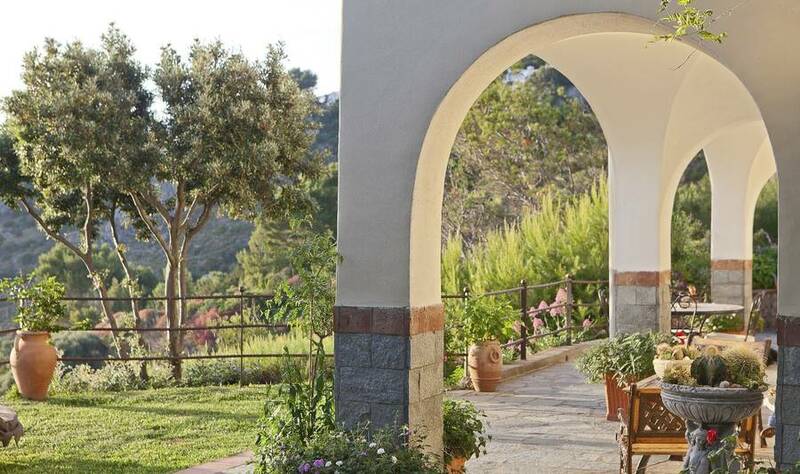 The bed & breakfast is located in Anacapri, the peaceful little town at the foot of Monte Solaro. 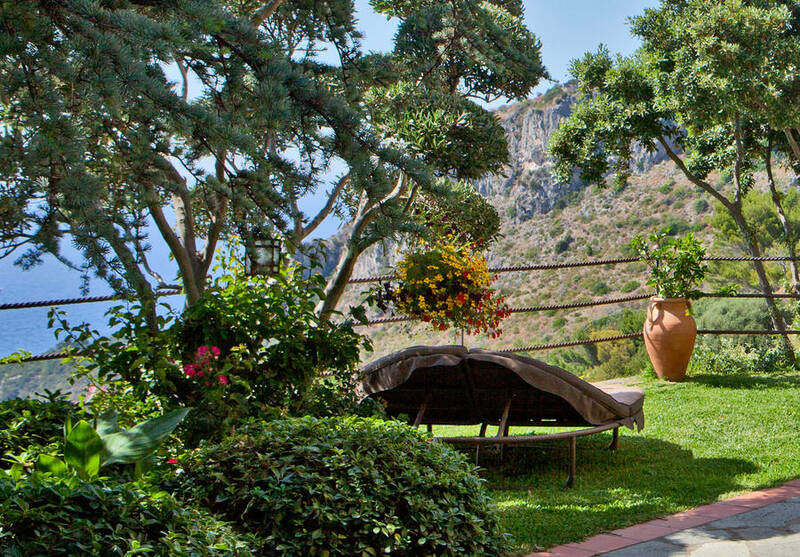 The B&B provides a shuttle service linking the residence with Anacapri's main bus terminal, from where to catch buses to Capri's Piazzetta and the port of Marina Grande.